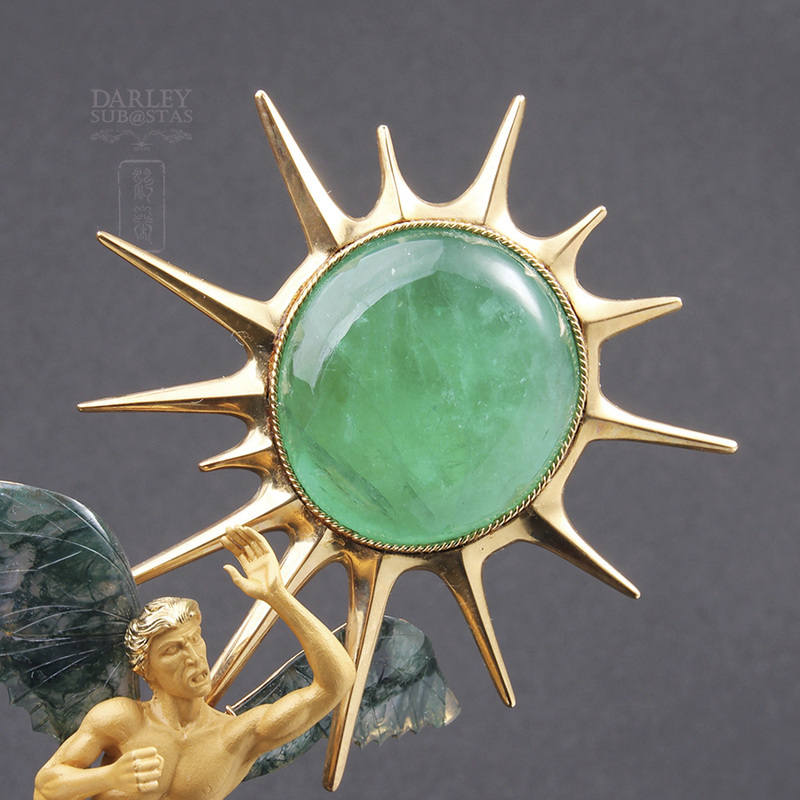 Fantastic piece of fine jewelry signing Manuel Carrera & Carrera. 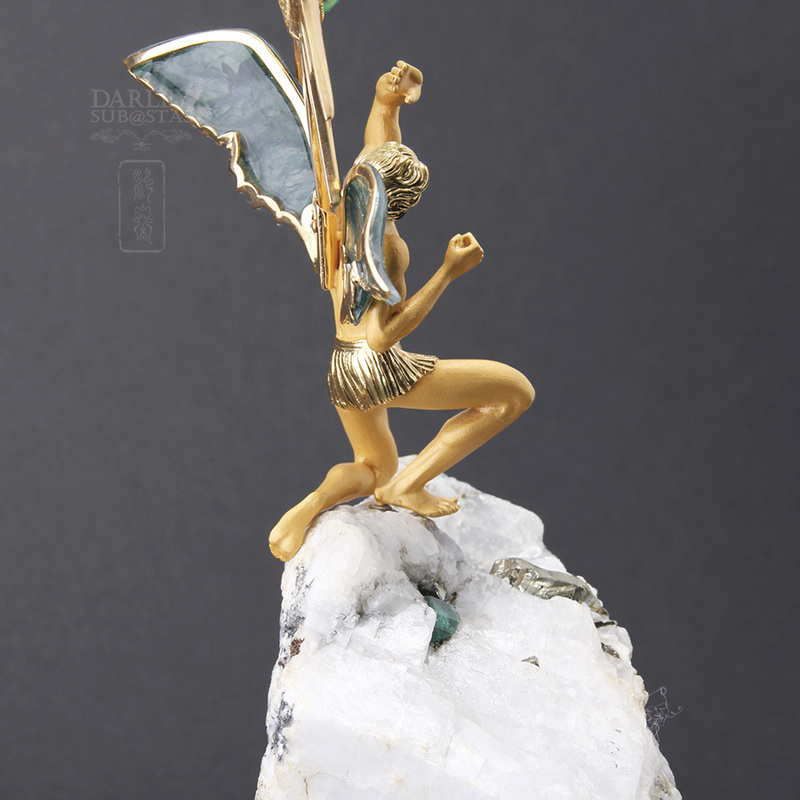 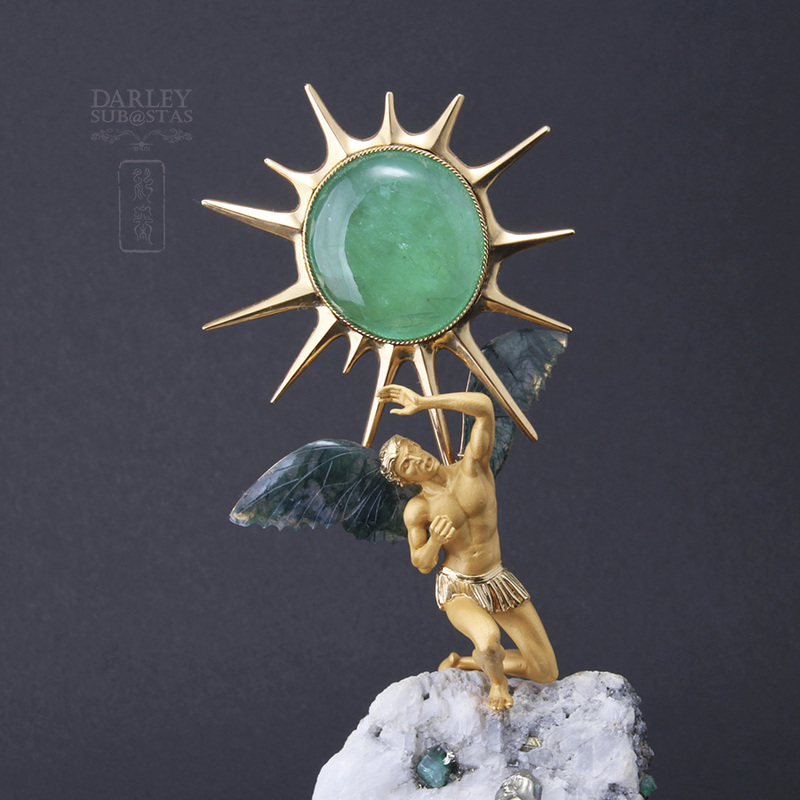 The main figure is represented by a beautiful adonis with skirt and you have placed a moss agate wings made that give a mythological touch. 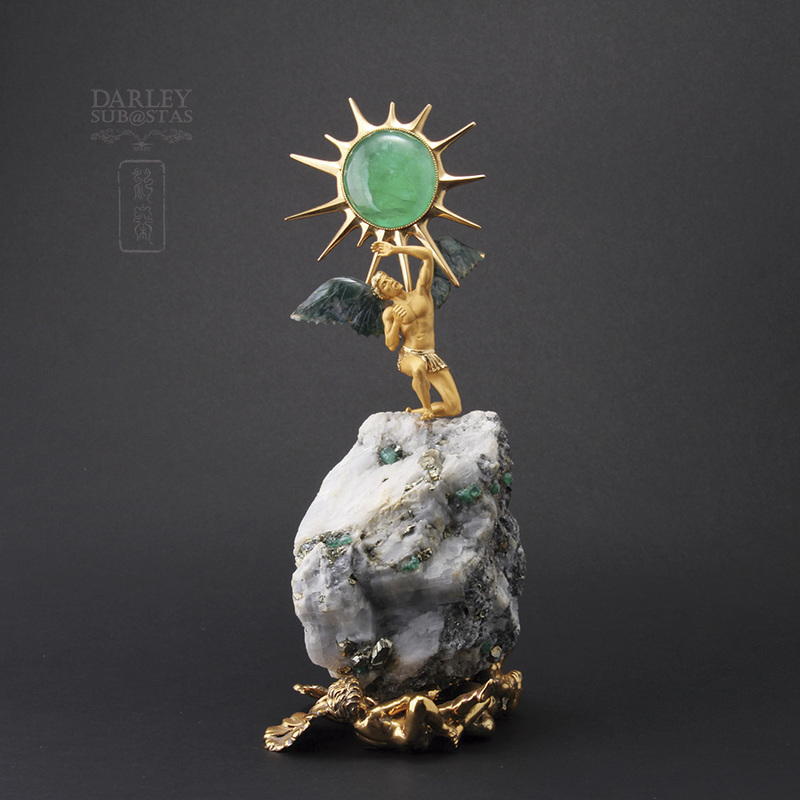 Supporting floor one knee contemplates the fabulous sun has your back with its rays of different sizes and an emerald pretty in the center, dark green, round size approved 200 cts weight , framed by a thin beaded bezel . 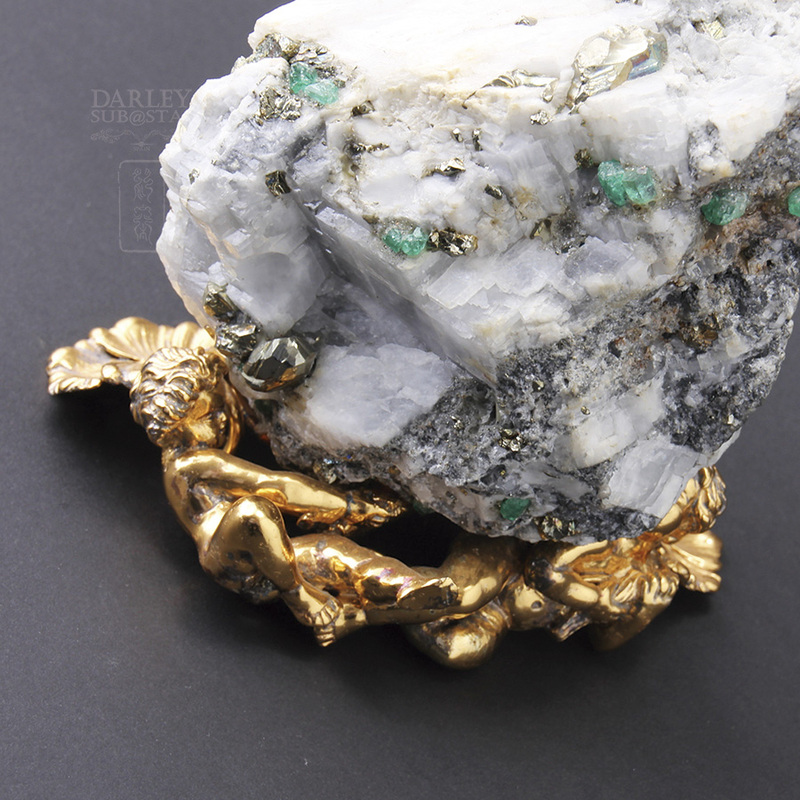 All this part of the piece is made by hand, using traditional methods , 18k yellow gold , and combines matte gloss . 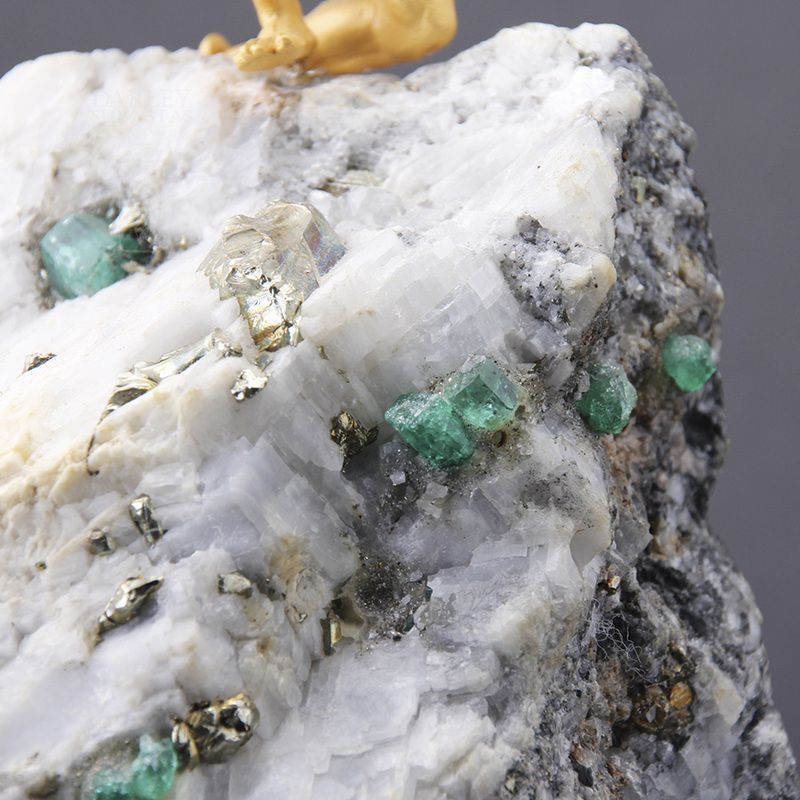 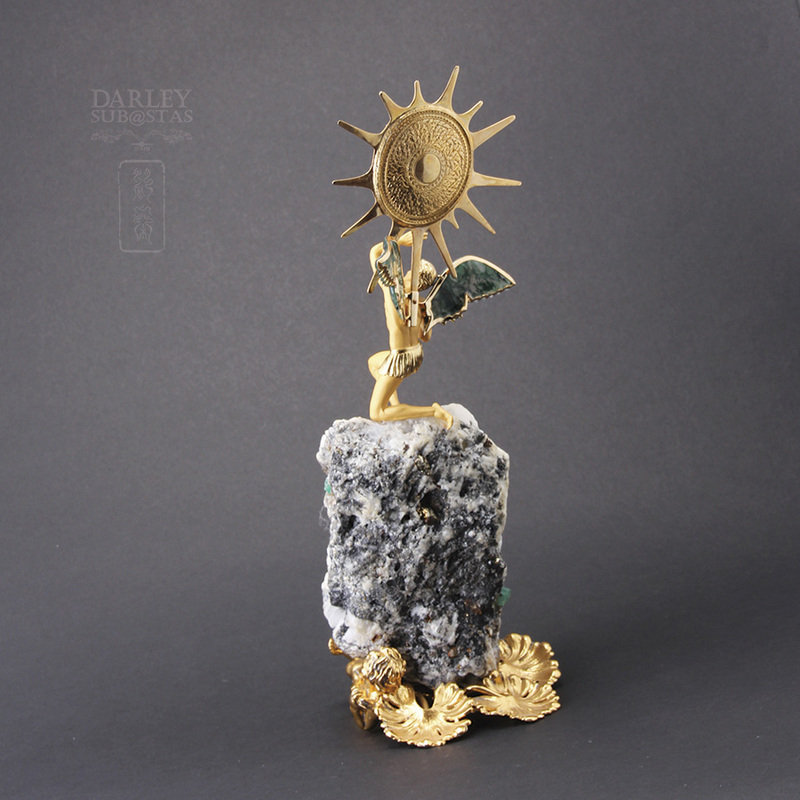 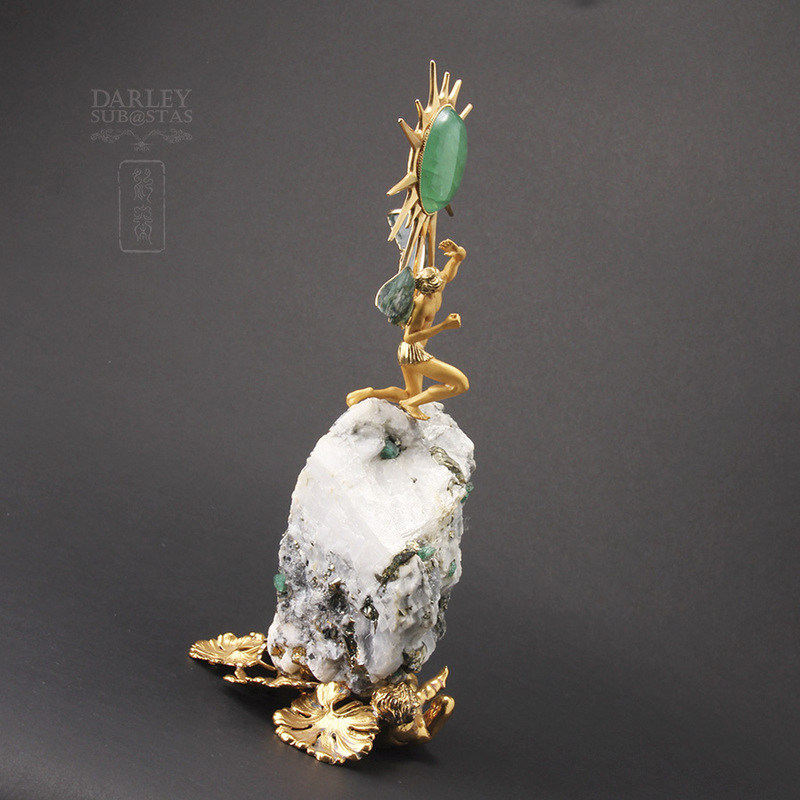 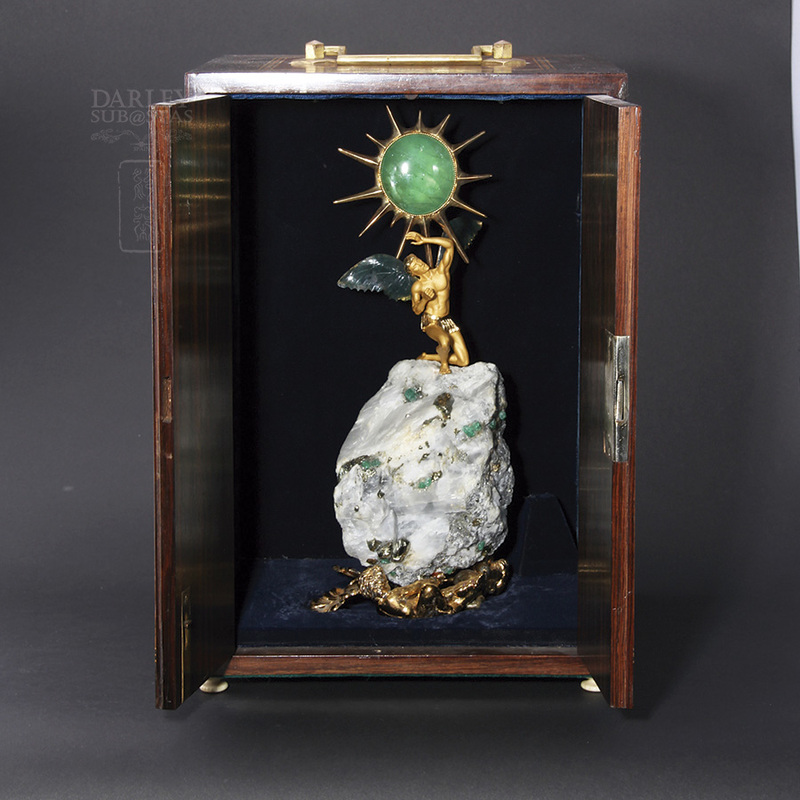 The structure rests on a plinth of natural stone and completely irregular encrustations containing natural emerald and standing on one made in sterling silver with gold plating de18k , based on several figures of cherubs on a bed of leaves, hold with your hands. 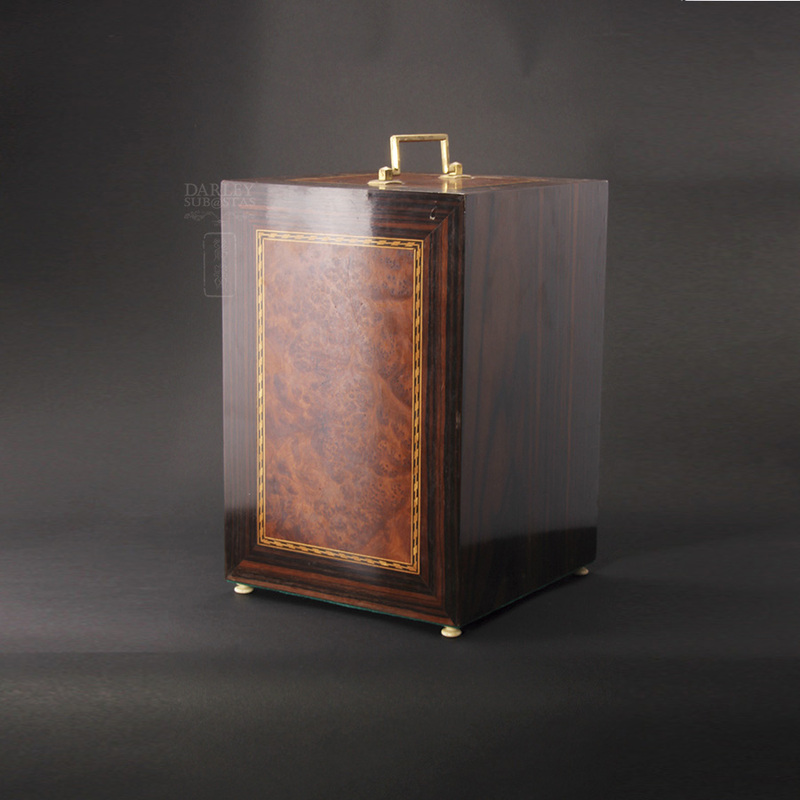 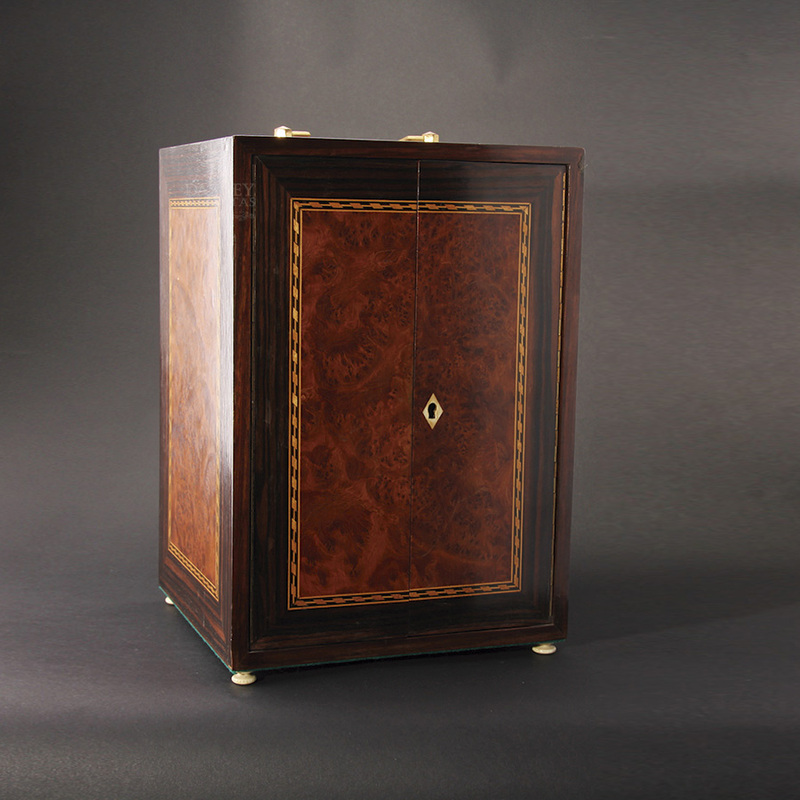 This figure is accompanied by his pouch, a dark wooden box with lock at its center appears lighter shade patterned marquetry and holding four small legs made from ivory. 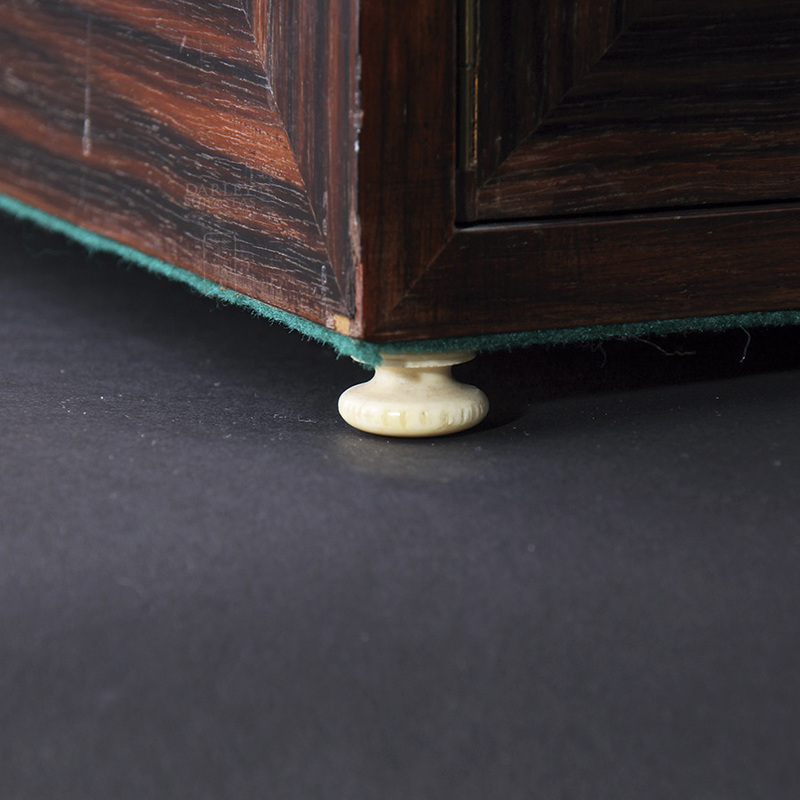 Carries on its top a handle for convenient transport .